American City & County's annual awards honoring excellence in local government. This fall, Bedford, Va., completed a $2.7 million, 10,700-square-foot welcome center, the result of a partnership between the city and Bedford County to promote tourism. The center was designed to direct tourists to nearby attractions and to provide meeting space for area residents. Bedford, which is located in the 765 square mile stretch between Roanoke and Lynchburg, Va., opened its National D-Day Memorial in 2001. “With the opening of the Memorial, we knew that would be a big destination attraction,” says Nanci Drake, director of tourism for the city and county. To direct tourists to the memorial and other local attractions, the city and county erected a temporary visitors’ center that averaged about 30,000 visitors a year. Drake applied for grants under the federal Transportation Enhancement Program, which provided about $1.1 million of the $2.3 million needed for the center’s construction. 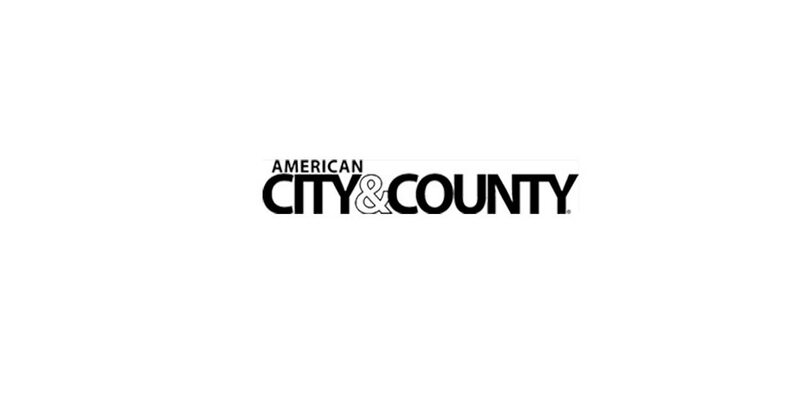 The remaining $1.2 million was split between the city and county through a pooled bond program developed by the Virginia Municipal League and the Virginia Association of Counties. The program allows communities throughout the state to issue bonds on a pooled basis. The city and county pay the debt service, with revenue generated through lodging and meal taxes. “Residents are basically getting this facility paid for by others. It’s not dollars coming out of the citizens’ pockets,” Drake says. The city and county already owned property near the D-Day Memorial but used some funding to purchase additional land for the 2.4-acre project. They broke ground in October 2003. The facility grounds offer other amenities, including a terrace with mountain views for outdoor events and picnicking. Also connected to the facility is a one-third-mile paved walking path and an amphitheater for sports events, outdoor concerts and movies. Electrical and water connections for overnight campers, sewer stations for recreational vehicles and motor coaches, and wireless Internet service are all located near the center. “We also have a dog walk area complete with a doggy water fountain,” Drake says. The city plans to give more shape to the neighborhood surrounding the welcome center to encourage economic development. Part of the plan is to recruit a hotel and conference facility that would be near the center, and which the city could operate, if needed. “Our vision is to have shops, businesses and hotels to serve travelers, as well as neighborhood businesses and residents,” Drake says. Agencies/companies involved: Bedford; Bedford County; Virginia Municipal League; Virginia Association of Counties; Chamber of Commerce; Bedford City and County Joint Tourism Committee; Burks Hill Neighborhood; Bedford Fire Company; Bedford International Alliance; Wiley & Wilson Architects, Engineers & Planners; Coleman-Adams Construction Inc.; Harvey-Delaney Landscape Architects; Thayer Design; Virginia Department of Transportation. When 11-year-old Kara Kavanagh was killed by a car at one of the state’s most dangerous intersections in March 1999, Brooklyn Park, Minn., faced a hard choice. The Twin Cities community of 70,000 was on the cusp of building a $500,000 pedestrian bridge over Minnesota Trunk Highway 252 at 87th Avenue. The accident that took Kara’s life, however, occurred at the 85th Avenue intersection, and her mother launched a grassroots campaign to relocate the bridge to the accident site. Relocating the massive structure would not be easy. Unlike the original location, the 85th Avenue intersection offered little construction space. Dense development and a storm-drainage pond close to the highway called into question whether the bridge could be built at all. The bridge would have to comply with Americans with Disabilities Act (ADA) requirements, which includes a gentle grade of no more than 5 percent. “From a technical perspective, moving it looked very difficult,” Cote says. “It was a tough, tight spot.” Furthermore, lack of funding already had delayed construction for several years, and redesigning the bridge could exceed the project’s budget. Despite the problems of moving the bridge’s location, Kara’s mother, Kris Kavanagh, was undeterred. She and other residents began soliciting funds to help pay for the relocation. Soon, Kavanagh recalls, about $100,000 was raised through ice cream socials, concerts in the park, silent auctions — even a flip-a-thon at the local gymnastics center. “At that point there was a lot of determination,” Kavanagh says. In December 2000, the City Council agreed to relocate the bridge and to extend the trail connections to the new site. Officials worked with Minneapolis-based SRF Consulting Group to develop an attractive, ADA-compliant design that employed a winding, helix structure on one end, with painted railings, rather than the usual chain-link enclosures. In May 2002, the city awarded a $1.6 million construction contract for the bridge relocation to Plain, Wis.-based Edward Kraemer & Sons. The firm used steel beams to more quickly assemble the main crossing, resulting in minimal traffic disruption. In all, the city paid $900,000 in construction costs, with $700,000 contributed by the state and federal governments. Brooklyn Park also paid $400,000 for engineering and contract administration costs, bringing the total project budget to $2 million. The 800-foot-long pedestrian and bicycle crossing opened in May 2004. Three months later, the City Council officially named it Kara’s Crossing. Cote, who made completing the bridge a top priority, credits Kavanagh for her determination and the City Council for its flexibility and commitment. “It makes me proud,” he says. Agencies/companies involved: Federal Highway Administration, Minnesota Department of Transportation, Three Rivers Regional Park District, Brooklyn Park Recreational and Parks Advisory Commission, Citizens of Brooklyn Park Metropolitan Council, Hennepin County, Brooklyn Park, SRF Consulting Group, Edward Kraemer & Sons. Today, a drive down the 13-mile-long stretch of highway reveals a dramatic, tourist-friendly redevelopment in tropical hues of purple, teal and raspberry. The corridor now boasts 10-foot-wide sidewalks and bike lanes shaded by 344 Washingtonian palms. Intersections have crosswalks and lighting, and rest stops are equipped with benches, water fountains, bike racks and informational kiosks. The redevelopment is punctuated with 12 pairs of 25-foot tall, weathervane-topped guide markers designed to help direct tourists to local attractions, such as the Water Mania theme park and the shops and restaurants of Old Town. The improvements are the result of the West 192 BeautiVacation Project, a $29.3 million public/private initiative now in its final construction phase. The $4.3 million first phase began in March 1995 and involved planting palms and installing numbered guide-markers. The $25 million second phase began in 1999 and includes roadway landscaping and irrigation, sidewalk construction and intersection upgrades. Today, two of the three highway sections included in the second phase are finished, with work on the third section scheduled for completion by early 2006. Funding for the BeautiVacation Project primarily came from a 30-year tax assessment called a Municipal Service Benefit Unit, passed by the community 18 years ago to deal with concerns about the long-term viability of its tourist district. The assessment requires property owners to pay about $490 for every $1 million worth of taxable property, according to Lizasuain. “The property owners funded nearly 100 percent of this project,” he says. Florida DOT also contributed $1.3 million in grants. Naturally, the proposal to create a special taxing district met with some initial resistance. “It was sold not as a tax but as a marketing plan that could revitalize the district,” says Lizasuain, who predicts the net effect of the aesthetic and safety improvements will be to strengthen tourism, boost competitiveness and raise property values for the approximately 600 businesses in the district. Agencies/companies involved: Osceola County Board of Commissioners; Kissimmee, Fla.; Florida Department of Transportation; Kissimmee/Osceola County Chamber of Commerce; Kissimmee/St. Cloud Convention & Visitors Bureau; West 192 Redevelopment Advisory Board; all utility companies within the district. Plano has 1,960 full-time employees and 75 to 80 mid-level to executive-level managers. Anticipating trouble in finding suitable candidates for retiring managers, LaShon Ross, human resources director, developed the Management Preparation Program of Plano, or MP3, a 12-month development program for up to six city employees that includes seminar instruction, coaching, dialogues and a group project. A five-member management preparation assessment team — including the city manager, executive director and three department directors — leads the program. To be selected for participation, candidates perform tasks comprising a typical day for a next-level-up manager. Three individuals outside the city organization — typically business leaders, other city managers or human resources directors — evaluate candidates’ work during that day. “We thought it was important to bring in the neutral component so bias was not a factor,” Ross says. Based on those evaluations and the candidates’ applications, the management preparation assessment team selects program participants. A professor at Southern Methodist University, who is a consultant to the city, directs the program and invites members of the Chamber of Commerce and the media to lead some of the monthly seminars. The city manager appoints executives to mentor and share institutional knowledge with the program’s participants at least eight hours a month. Additionally, the class researches a real problem for the city and presents its recommendations at the end of the year. “They learn the importance of working together and also bringing back a workable solution that the city can put in place,” Ross says. Four employees completed the program in 2003, and six more began in January 2004. The $3,000 budget, funded through human resources, will be expanded in 2005 to $15,000 to provide more instructors and assessment. The city plans to graduate 30 employees by 2008. Agencies/companies involved: ClubCorp, Atmos Energy, The Perry Group, Dallas Morning News, Plano Profile Magazine, Plano Chamber of Commerce, North Texas Toll Authority, Plano Housing Authority, Economic Development Board, Plano Independent School District, Children’s Advocacy Center, Plano Leadership Program, Texas Municipal Retirement System, Nationwide, Unamerica, all city departments. San Jose, Calif., added 299 units of affordable housing in February 2004 with the grand opening of Markham Plaza. The $41 million development features 280-square-foot studio apartments with efficiency kitchens designed for individuals who make less than $22,155 annually and couples who make less than $25,320 annually. In the past two decades, San Jose’s population has shot up to nearly 1 million, creating a shortfall of 17,000 units for low- and very low-income households and exacerbating homelessness. The city estimates 1,600 of its residents currently are without housing every night. Four years ago, the Emergency Housing Consortium (EHC), a nonprofit group that provides emergency shelter, transitional and permanent housing and support services throughout Santa Clara County, noticed an increase in employed singles and couples in its emergency system. Group leaders saw a need to create a place where they could pay rent and live independently. EHC contracted with locally based CORE Development to design a housing complex that would be affordable for low-income individuals and would provide access to support services, such as health care and job training. The team selected a building site near downtown businesses and public transportation and adjacent to Monterey Glenn Inn, a transitional housing development managed by EHC. San Jose helped fund the project by providing $5 million from HOME, a federal block grant, and by using $7.7 million in redevelopment tax increment money. Another $23 million in low-income housing tax credits paid for the bulk of the project, giving a tax break to the developer. The remaining costs were raised through private and federal bank loans. Construction on the first phase, which included 151 apartments, was completed in July 2003, and the rest of the complex was finished in January 2004. Developers followed San Jose’s green building policies, using green building practices and materials, including solar panels for a significant portion of the energy requirement. EHC manages the property and provides support services to residents. “They are the front door for the project, working with clients to get them in Markham Plaza, and then making sure they are managing successfully,” says Mike Meyer, assistant director for the city’s Department of Housing. On-site staff provides around-the-clock case management. Tenants have access to health care facilities, drug and alcohol dependency programs and job training. They also can purchase freshly cooked meals for 50 cents each night. The single-room occupancy units rent for $478 to $500 per month — about half the average cost for a comparable apartment — with no tenant paying more than 30 percent of their income for rent. Markham Plaza is located two miles south of downtown and next to main bus routes. Although it is affordable housing, it looks like any other housing in the area. “The residents were just thrilled and pleased at having an opportunity to live in a high-quality, attractive, centrally located facility,” Meyer says. Agencies/companies involved: San Jose, Emergency Housing Consortium, CORE Development, Federal Home Loan Bank of San Francisco, Fannie Mae, PNC MultiFamily Capital, Bank of America, Citibank. No one can say for sure why cancer rates in Springfield, Ohio, are so high. By 2006, the Midwestern Rust Belt town of 65,000 expects to log an astounding 1,500 new cases. Environmental poisons from a century of industrial activity could be part of the reason. At the William Bayley Manufacturing site in downtown Springfield, for example, generations of workers churned out wrought iron cemetery fences, machined parts and other steel and iron goods from 1883 to 1980. A succession of factories at the site — unregulated for decades and located within blocks of workers’ homes — left dangerous accumulations of lead and a hazardous byproduct of combustion, benzo(a)pyrene, in the soil. Since August 2004, however, the Bayley Manufacturing site has served an unlikely purpose in the community — helping to fight cancer. In a dramatic turnaround, Springfield worked with state and federal environmental agencies to tear down the jumble of vacant, asbestos-filled buildings and clean up the soil. The remediation cleared the way for local hospitals to build the $10.8 million Springfield Regional Cancer Center, a state-of-the-art treatment and patient-care facility perched on a cliff overlooking Buck Creek. Before the cancer center’s construction, the nearest facilities were in Columbus and Dayton, forcing Springfield residents suffering from the disease to make two-hour roundtrip drives for treatment. “That commute could literally be life or death for a cancer patient,” says Shannon Meadows, executive assistant to the city manager. In 2002, Springfield’s two competing hospitals decided to work together to build a comprehensive cancer treatment center. Hospital planners favored the Bayley Manufacturing site, but they were concerned about its contamination. Because the site was an eyesore and city officials knew that its redevelopment would invigorate downtown, in January 2003, they pledged to clear the site of all buildings and contaminants for the cancer center. The remediation began in June 2003 and involved extensive soil and groundwater sampling at the 1.17-acre site, carting off tons of contaminated soils and carefully removing asbestos before demolishing concrete and brick buildings totaling 60,000 square feet. Federal and state environmental programs funded the bulk of the cleanup’s $819,688 cost. Springfield paid just $39,747 — less than 1 percent of the total. By August, construction of the center began. The building was patterned after historic local structures designed by famed 19th-century architect H.H. Richardson. Open one year later, the new center now provides patients with access to outpatient medical oncology and the latest chemotherapy, infusion and radiation treatments. Agencies/companies involved: Community Hospital; Mercy Health Partners-Western Ohio; Springfield; Hull & Associates, Inc.; Ohio EPA; U.S. EPA; American Cancer Society; Homrich Inc.; Elford Construction. As the result of a public-private partnership that reduced energy use in public facilities and upgraded water meters, Tyler, Texas, stands to save $29 million over the next 10 years. The city is using the savings to pay for the new water meters, and wastewater, traffic signal and facility improvements. Following sales tax, Tyler’s largest revenue source is water. However, for many years, the city had been losing revenue — an estimated $2.2 million each year — as a result of old, inaccurate water meters. “Meters lose their accuracy over time, just like anything else,” says Gregory Morgan, operations manager for Tyler Water Utilities. To recoup lost revenues and improve efficiency, Tyler Water Utilities decided to replace all 31,000 water meters in the city with models that transmit information using radio signals. In April 2003, it signed a performance contract with Milwaukee-based Johnson Controls to oversee the meters’ installation and to make energy-saving changes to all 29 city facilities. The $15 million meter change was financed through a revenue bond issue. The bond will be paid back over 10 years through the increased utility revenue, which is guaranteed at $1.7 million but projected at $2.2 million. “We’ll see a certain amount of performance, or we’re compensated by the contractor,” Morgan says. The new meters were installed by June 2004. Now, instead of walking from house to house to manually gather readings, utility staff members drive down streets in specially equipped vehicles and collect meter readings with radio signals. Readings are stored on the vehicle’s laptop computer, which is later downloaded in the utility office and used for billing. “In the future, the same signals may be transmitted to cellular phone towers and go directly into the city’s business office,” Morgan says. After making annual bond payments, the utility will have an estimated $600,000 that is being used to replace heating, ventilation and air conditioning units with more energy-efficient equipment. The funds also are being spent to retrofit the lighting at 29 of the city’s facilities, improving energy efficiency by 25 percent, and putting the utility four years ahead of schedule for meeting a state-mandated 5 percent energy reduction each year for five years. The city also is upgrading 3,700 traffic signals from incandescent fixtures to light-emitting diode fixtures, which reduce energy consumption by 90 percent. The projected $83,000 saved annually from replacing the traffic signals are guaranteed by the performance contract. Water and sewer infrastructure improvements incorporated into the contract, including installation of energy-efficient motors and speed controllers at the wastewater treatment plant, will annually save an additional $685,000. Innovative use of a performance contract to boost service and revenue is a business model that has transformed Tyler. “These changes reinforce our commitment to running a more efficient city government and responding to the needs of our citizens,” Morgan says. In addition to revenues generated through the performance contract, the utility expects approximately $21,000 in savings each month as a result of the energy efficiency changes. Agencies/companies involved: Tyler; Johnson Controls, Inc.; G.T. Mechanical; Lighting Energy Control System; Mercer Control; PointCon Consulting; Exum Waterproofing; Earth Tech; Invensys Water Meters; A.E. Shull & Company; ANZAK, Inc.; HOT Controls, Inc. When Winter Park, Fla., began expansion plans for its dilapidated, 1940s-era water plant, it also decided to replace 29 adjacent rundown rental homes. The project resulted in improving water quality, as well as preserving affordable housing in an area that is attracting gentrification. City officials began sketching the project in April 2002 when they realized Winter Park needed a new, larger water plant. The old facility, one of four in the city, handled about 2 million gallons per day using a treatment process that would soon be rendered obsolete by upcoming water-quality regulations. “The old plant had reached and really exceeded its expectancy,” says David Zusi, water and wastewater utility director. From the beginning, building the plant on the same site as its predecessor was a high priority. That would allow the city to avoid the high cost of rerouting the existing pipe system, and it could save about $500,000 by keeping the old plant’s newest production well. The fierce community opposition, fueled in part by false rumors that the city planned to build a foul-smelling wastewater treatment plant on the site, threatened to scuttle the project, Zusi says. In response, Winter Park launched an aggressive public relations campaign. “We made an extraordinary effort to go out and talk to every resident and convince them to trust us,” Martin says. “Their living conditions already were pretty poor, but they had to take a leap of faith that we would take care of their needs.” The two-month-long campaign culminated in a public meeting at which the community pledged its support for the project. City officials worked with residents to design the new water plant and apartments. In addition to asking for open porches, ground-level front doors facing the street and other modern apartment features, residents also requested major revisions to the architectural master plan that would move the plant farther away from the apartments. The city agreed to move the plant and to add a sidewalk, a bike path and an additional buffer. Winter Park also collaborated with the Englewood, Colo.-based design firm CH2M Hill to add Florida Vernacular-style architectural facades to the water treatment plant. “From the outside, you would never know this facility is a water treatment plant,” Zusi says. The city paid $89,000 to relocate all the low-income families while the replacement housing was built. Construction on the $2 million project began in February 2003, and one year later 30 new apartments opened to residents. The new units range from 772 square feet for a one-bedroom to 1,400 square feet for a three-bedroom apartment. Nine residents out of the original households returned to the apartments owned by the Winter Park Housing Authority and received $700 for moving expenses. Agencies/companies involved: Winter Park (Planning and Public Works), Winter Park Housing Authority, Orange County Housing Finance Authority, Florida Community Partners, Orange County Housing and Community Development Department, Orlando Neighborhood Improvement Corporation, JEG Consultants, Brown Cooper Gwinn Architects, CH2M Hill, Walker Construction.